January was a snowy month here in Idaho. I hadn't seen so much snow in years. Idaho Falls had over 17 inches fall in January alone! For every session I was in at least knee deep snow, and this one was no different! 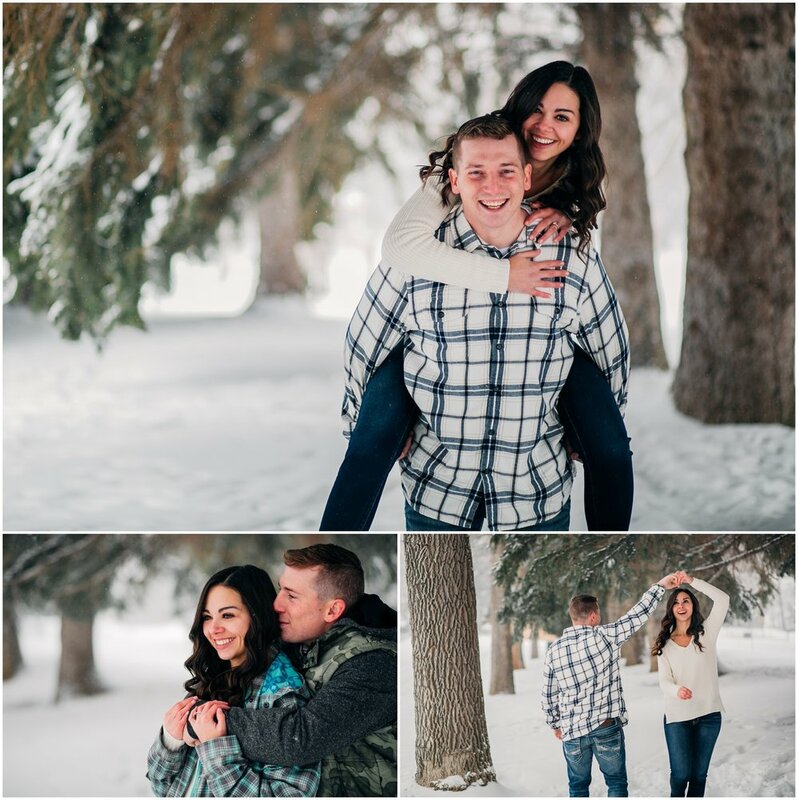 Danielle won my Instagram Giveaway back in November and we started planning a snowy engagement session here in Idaho Falls. I was so excited to shoot their engagement session! It was Mrs. Gleaves 7th grade science class when Cayd started hitting on Danielle. He was persistent for some time before Danielle showed her interest in him as well. They started dating and now, 7 years later, he proposed and they're still just as in love! High school sweethearts have a love unlike anyone else and I love capturing it!